The Mission of the Kimberly Family Foundation envisions the Foundation encouraging and facilitating charitable giving that will change the Rutherford County and Middle Tennessee for good. 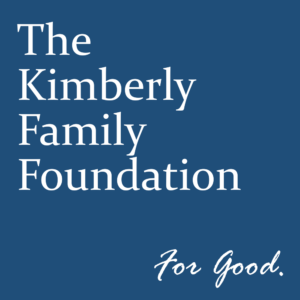 In short, the Kimberly Family Foundation is not intended to divert any existing charitable giving; instead, the Foundation aims to hold at least one annual fundraiser, which should generate charitable giving that would not otherwise exist. By encouraging citizens to attend and donate, where they may not otherwise give, the Foundation aims to expand the scope of charitable giving on an individual and community-wide basis.